Instead of making a New Year resolution this year, I picked one word to bring purpose and a goal to my spiritual life. 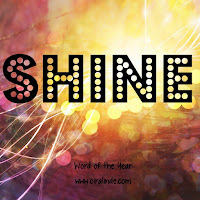 I chose the word “shine.” The first definition of shine is to give our bright light and radiate. What does that mean to me, as a person? Initially, I envisioned inner confidence shining out, attracting people to me like moths to a bright flame. While that could be one interpretation, I am reminded of another meaning for radiance, which is a reflection of a light source. Reflecting God would indeed draw people to me, bun in a different way. The Bible quote that jumped into my hear was Matthew 5:14-16. “You are the light of the world. A city set on a mountain cannot be hidden. Nor do they light a lamp and then put it under a bushel basket; it is set on a lampstand, where it gives light to all in the house. 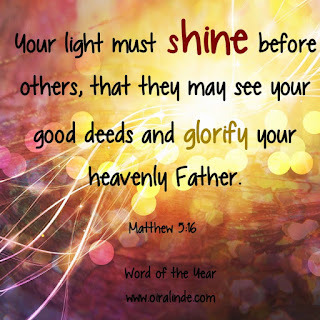 Just so, your light must shine before others, that they may see your good deeds and glorify your heavenly Father.” As a single lamp could light an entire one-room dwelling, I plan on being an image of God in my home. My objective is to draw my own attention into seriously focusing on God. With God illuminating my heart, His light is bound to flutter into other hands. While imagining myself as a lamp, I remembered that a flame needs three items to continue burning bright: fuel, oxygen, and heat. If any one of those goes out, so does the flame. What do I need in my life to keep my flame alight? Reading the Bible, attending Mass, and praying daily are all spiritual fuel for me to begin shining because I will know God better. While oxygen can produce a brilliant fire, my family and relationships breathe into me and help bolster my ability to shine with love. Finally, my own sacrifices and offerings, which are like the heat for a flame, are a way to serve God. Shining is knowing, loving, and serving God in this world. Although each of these intentions are admirable, I need to carefully find a balance in my fuel, oxygen, and heat sources. Adversely, a second definition of shine is to excel or to be outstanding. Doinf just the minimum in life is not exceptional. 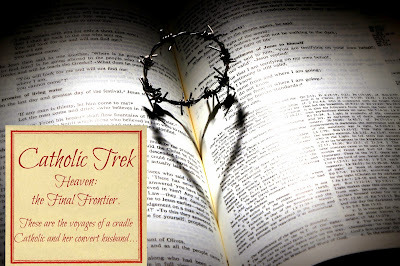 As a Catholic, I need to know, accept, and practice my faith, but I can do so much more. Primarily I want to get to daily mass, adoration, and confession increasingly more often. Throughout this year, I want to integrate my faith into my daily life, which would include the time I spend teaching, cooking, driving, and just breathing. If I can act as an image of God, I would shine brilliantly. 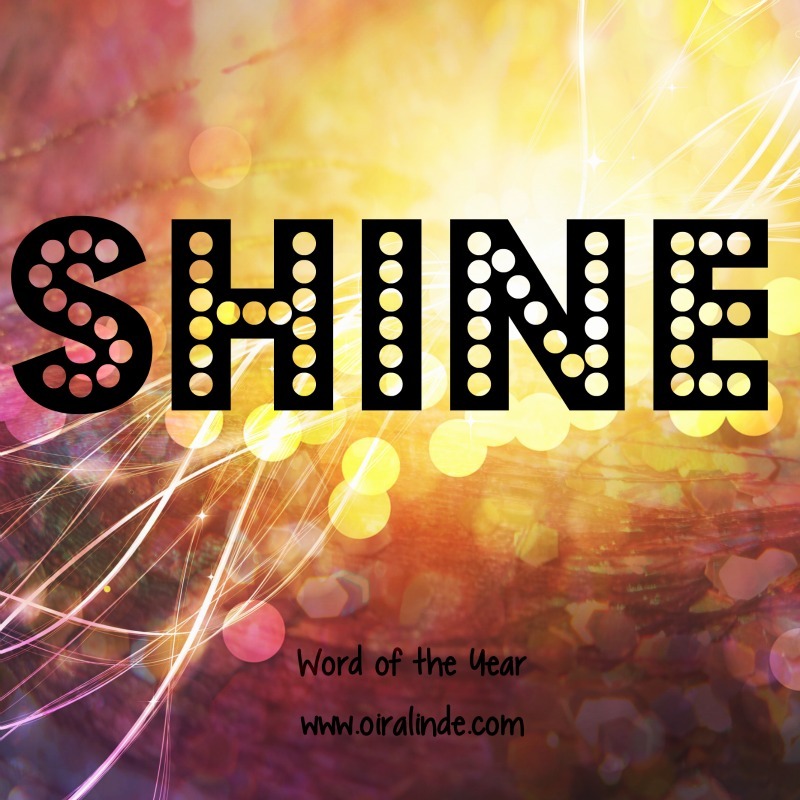 To be honest, I did not expect to choose “shine” as my word for the year. Originally, I was deliberating between the words peace, calm, and mild. Focusing on my anxiety was not what God has intended for me this year. As a phoenix must rise from its ashes, I feel I must rise from my anxieties. Soaring above my worries will bring me the clarity and peace for which I yearn. 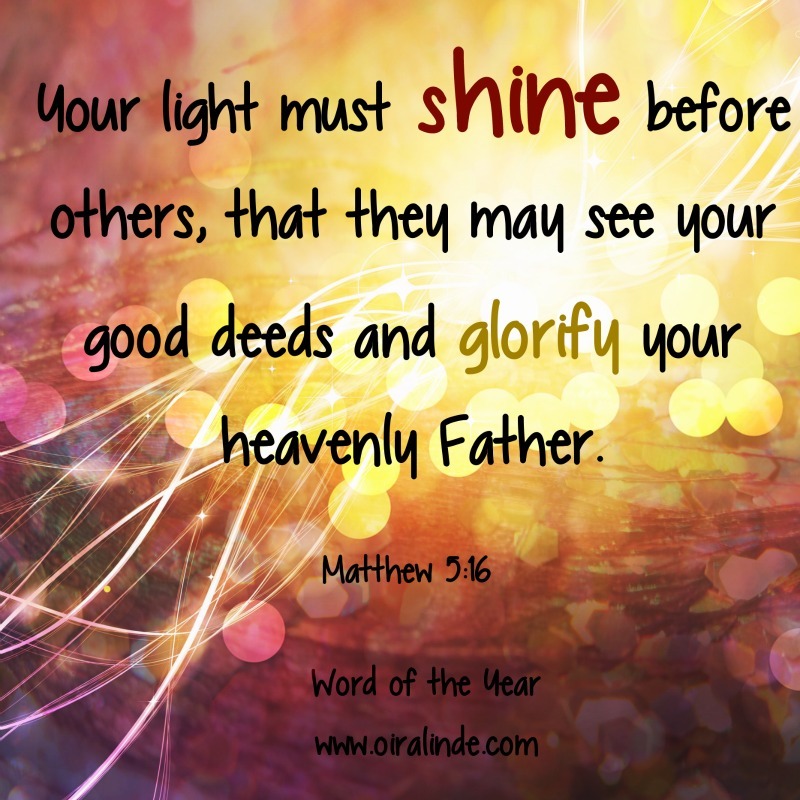 God, who is always my inspiration, lead me to focus on the word “shine.” I will reflect God's image. I have His light. I will shine. Did you choose a word for your year? Let me know what you chose!